The Commonwealth Games Federation (CGF) would do well to reinstate cricket and I, for one, am not convinced the organisation is the one proving to be the stumbling block. Firstly it would be good for the Games as well as the sport itself from a growth point of view. Unlike the Olympic Games, the Commonwealth Games is more of a natural home for cricket, which is predominantly a sport played exclusively by Commonwealth countries anyway. It can also help spark an interest in other places, while crucially reigniting passion, in other parts – like the Caribbean for example. The West Indies are one of cricket’s great enigmas. This conglomerate of Caribbean islands have united to form one cricket team since 1928 and as recently as the 1970s and 80s, the Windies were the sport’s powerhouse. They have since fallen on hard times. As you read this they are in a battle to qualify for next year’s World Cup. How the mighty have fallen. 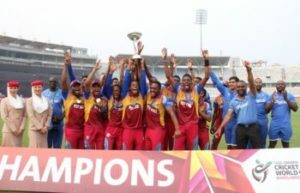 In a 2009 article, also published on ESPN Cricinfo, the Trinidad & Tobago Express argued against the breakup of the West Indies and for the various island nations to go it alone. Fragmenting the islands into individual national teams would firstly mean the end of their lucrative television contracts on which the sport is heavily dependent in the region. Consider the breakup of the West Indies the death knell of cricket in the Caribbean then. Secondly, while it is plausible that countries with larger populations like Jamaica and Guyana could conceivably eventually be relatively competitive on the international scene, what hope would a national team of St Kitts & Nevis have? Or St Lucia? The latter has only ever produced Darren Sammy as a West Indies representative. You might say: ‘Well then who needs St Lucia?’ At the same time, you would have robbed the sport of a fine performer in Sammy. The counter-argument centres along the inability of the various islands to stand together on key issues and how it ultimately trickles down to the ground level and has brought the sport to where it is today in the region. But surely that view must concede the commercial disaster a West Indian breakup would bring about, all but killing the game in that region. Cricket is not dead in the Caribbean yet. After all, the West Indies did win the Under-19 World Cup as recently as 2016. No denying then they have the raw talent. Even so Mark Nicholas argued for a West Indies breakup in 2015. One way to reignite interest in the Caribbean, and indeed elsewhere, could be cricket’s inclusion at the Commonwealth Games. There is support for this from Caribbean Association of National Olympic Committees President Brian Lewis, who says this move would reenergise the sport in the region. Michael Pavitt is another one on my side of the argument. Pavitt says the Commonwealth Games needs cricket, and cricket needs the Commonwealth Games. It was last played in 1998 in Kuala Lumpur when South Africa defeated Australia in the final. At that tournament 16 teams competed in four groups and the Caribbean was represented by Barbados, Jamaica and Antigua and Barbuda. A similar scenario come the next Games in 2022 in Birmingham could go some way to not only giving local Caribbean cricketers something to aim for but also give them the opportunity to showcase their skills in front of an international audience. I would not be looking to break up the West Indies. There is the romantic, nostalgic argument that demands they simply have to be part of cricket. There is the supposedly more realistic, modern view that says they cannot continue this downward spiral. Yes, it was quite sudden. In 1992/93 the Windies won a Test series 2-1 in Australia. Four years later they lost 3-2, still a competitive series you can comfortably argue but, two years later they were annihilated 5-0 in South Africa. 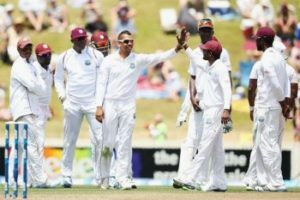 Despite the talents of Brian Lara, Shivnarine Chanderpaul, Curtly Ambrose, Courtney Walsh, Chris Gayle, Dwayne Bravo, and we must include Sammy, they have lost more than they have won but in my opinion administrative reform and some creative thinking is a better solution than a West Indian divorce. At the start of this post I mentioned suspecting the CGF of not being the ones proving to be the stumbling block. That honour would go to the Board of Control for Cricket in India (BCCI), who effectively run world cricket and they are so protective of their Indian Premier League cash cow, that there is no place on the international cricket calendar for anything else during its April-May window. The 2022 Commonwealth Games are provisionally set to take place between 27 July and 7 August, so no excuses then. Come on, BCCI, do the right thing. What is your opinion on this matter? Let me know by commenting below.